When Gurū Jī had said this to his mother, he decided to go to the banks of the Jamnā outside town to breathe purer air. He had his tent pitched near to Rājā Jai Singh´s military camp, who was in the town at this time. When Rājā Jai Singh heard that Gurū Har Kriśan had left the town, he at once sent one of his men to him to ask whether he had offended the Gurū in any way. At that, Gurū Jī let him know that he was ill.
Rājā Jai Singh at once went to see Gurū Har Kriśan, not necessarily because he wanted to find out about his illness but because he wanted at last to appoint a time for a personal meeting with the ruler on whose orders he had tested the Gurū. But Gurū was already too ill to respond to that. The next day, the Gurū´s skin was covered with purulent bumps – a sure sign of the pox. The pox, the fever and the deep unconsciousnesses again and again, and still the young Gurū did not complain once, but his lips continuously formed VĀHIGURŪ. As the Gurū´s state was very serious, all Sikhs were asked to sing the hymns from the Gurū Granth Sāhib Jī for him. But that did not change his condition, and everyone feared the worst. After these words Gurū Har Kriśan Jī´s spirits faded away more and more. 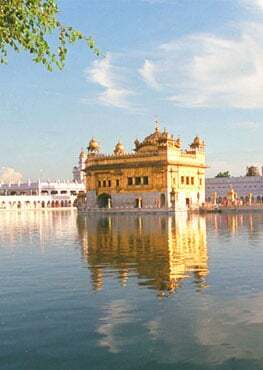 He was silent, closed his eyes but opened them again after a short while and looked at his Sikhs with great affection. Rājā Jai Singh came to see the sick Gurū once more and repeated the ruler’s request for a meeting, but the Gurū declined once more and said that the ruler should direct his attention to the hymn that he had written for him. After that Gurū Har Kriśan Jī asked for five paisās and a coconut. He took both and, as he was unable to move, he made a sign with his hands three times as if he walked around his successor three times, venerating him. Then he said: “Bābā Bakālā.” That meant that his successor would be found in the village of Bābā Bakālā. Exhausted, the Gurū paused. 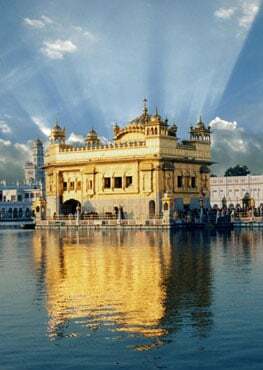 When he had regained enough strength to speak, he asked his Sikhs to sing the Gurū´s hymns and keep repeating GOD´s name again and again in praise. When the night had long exceeded its zenith and there was no sign of improvement in the Gurū´s condition, his mother, Kriśan Kaur Jī, who sat at his bed and looked at his handsome face, grew very sad and started wailing. These words of sweet comfort touched the mournful mother´s heart like tender blossoms and took the leaden pain away from the hour of parting. His beloved Sikhs sang the Gurū´s hymns. The sacred songs flowed through the room where the sick Gurū lay and were only outshone by the highest and most precious of all words, VĀHIGURŪ. Surrounded by sacred songs, Gurū Har Kriśan Jī took a last deep breath, then his young heart stopped beating forever. Gurū Har Kriśan Jī´s body was given to the fire on a plain called Tilkharī, south of Dillī by the banks of the Jamnā. The grave with his ashes has remained intact until now. At the place where Gurū Har Kriśan Jī had lived and worked a Gurdvārā was erected in his honour.